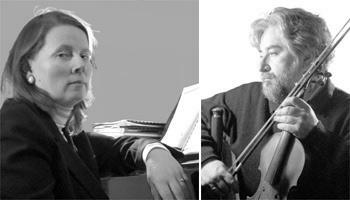 St James Cavalier, in conjunction with the Maltese-Polish Friendship Society, will present a concert by Polish pianist Danuta Mroczek-Szlezer and Polish violinist Mieczyslaw Szlezer at the Music Room, St James Cavalier, in Valletta, on March 10 at 8 p.m. The 70-minute programme will include Johann Sebastian Bach's Sonata No. 1 in B Minor BWV 1014, followed by Sonata Da Camera by Grazyna Bacewicz and Sonata in D Minor op. 9 for Violin and Piano by Karol Szymanowski. Ms Mroczek-Szlezer is a titular professor of Chamber Music at the Academy of Music in Krakow. She has performed in several countries. Mr Szlezer is titular professor in violin and chamber music at the Academy of Music in Krakow. He has given performances in 28 countries on four continents. Concert tickets cost Lm4. More information about the society may be obtained from www.tpmp.org or by calling 9949 4646.